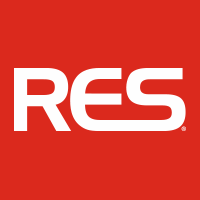 Service automation with RES and TOPdesk. Directly execute a workflow in RES from TOPdesk when a customizable event triggers. Automate your service requests with an integration from TOPdesk to RES. Incoming calls or changes from TOPdesk’s Self-Service Portal can be forwarded to RES, at a moment you see fit. Do you have certain forms that should always trigger a workflow in RES? Do you require an authorization step in TOPdesk from a manager? It’s up to you to decide. Since the integration consists out of several customizable steps, you can adjust the integration yourself or with the help of TOPdesk Consultancy. Want additional integration options? Check out the API documentation from RES and use the same technology. Faster Ticket Resolution times: Reduce the time it takes for a user request to be fulfilled and ensure SLAs are met every time consistently. Cost Reduction: Cut helpdesk costs through workflow automation of request creation, approvals, infrastructure changes and notifications. Increase innovation resources: Free up key IT resources by automating manual tasks and redirect them to more strategic or innovative projects. This action sequence script can be downloaded and imported into TOPdesk. It simply requests a service in RES with a fixed ID so you have a basic script to extend for more specific usecases.